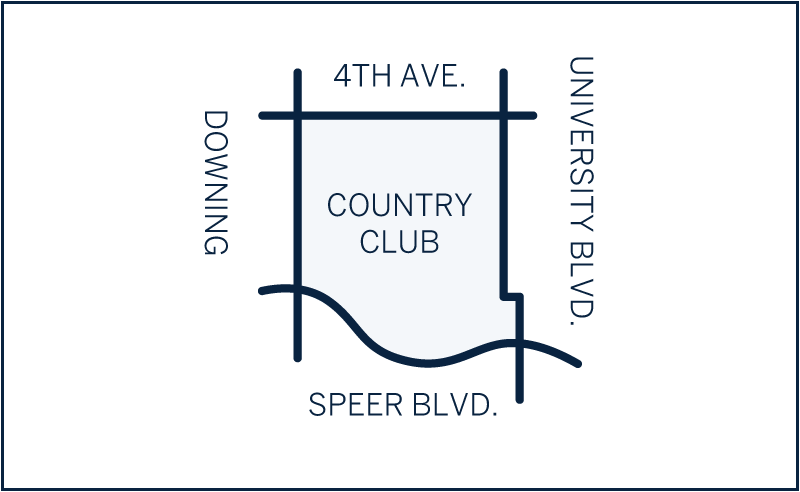 Denver’s Country Club neighborhood was developed in the early 1900’s and is punctuated by wide parkways and distinctive gates. Located on the National Registry of Historic Places as a designated landmark district, this neighborhood boasts elegant homes and stately mansions designed by famed architects Fisher and Fisher, Jacques Benedict, and Burnham Hoyt, to name a few. Recognized for the exclusive and private Denver Country Club on 1st and Gilpin Streets, this neighborhood boasts 100-year-old trees, easy access to downtown Denver, and a diverse architecture spanning from Tudors and Georgians, to Mediterranean influenced Spanish Colonials. Home prices range from one million to multi-millions, and they don’t come on the market often.